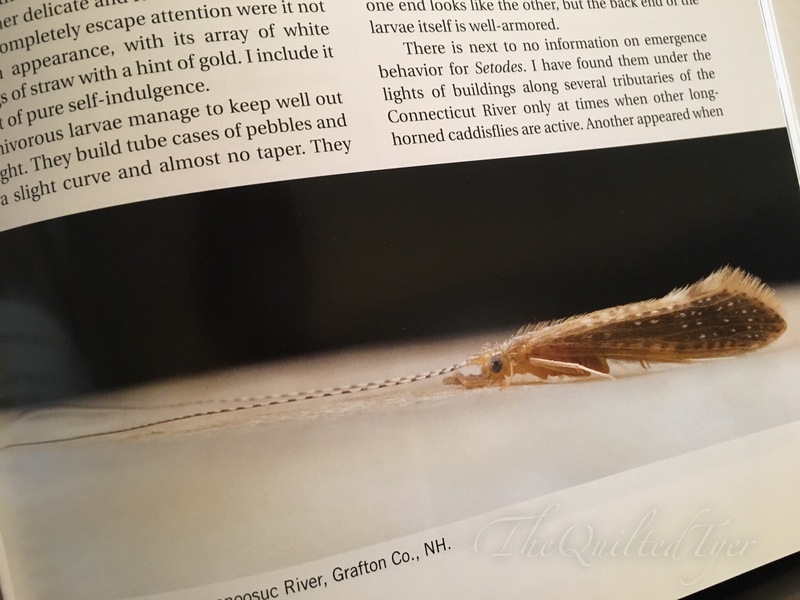 After posting about one of my favorite caddis fly patterns, I decided there’s no better way to follow it up then a book review of an excellent book. 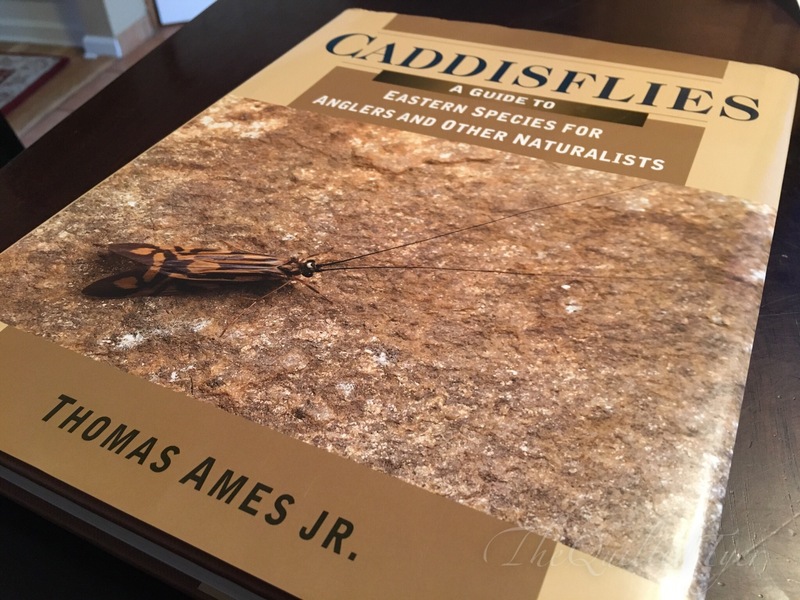 If you love caddis You need this book! For some of us the idea of expanding our knowledge is so great that it trumps everything else in the world, and this book is one of those must haves in your library. and they immediately change their minds! The bottom line is that if you were going to try to memorize everything in this book you are going to have a really hard time, but that is not what books like these are for. (not to say I haven’t made two pots of coffee and tried to cram all the information in this book into my brain in one sitting, over and over ) 😂 The reality is, that to me the Most valuable books your library are reference books. Books that you can hop up off your bench and grab when you have a question, or when you just want to know something, maybe you are tying something halfway through a patterns and you have an “ah, ha! “Moment and feel the need to run to that bookshelf and look for the answer. This is that book. Oh the bookworm in me just can’t help herself! Almost all of us fish caddisflies, and if you don’t, you may be missing out on some hungry trout. 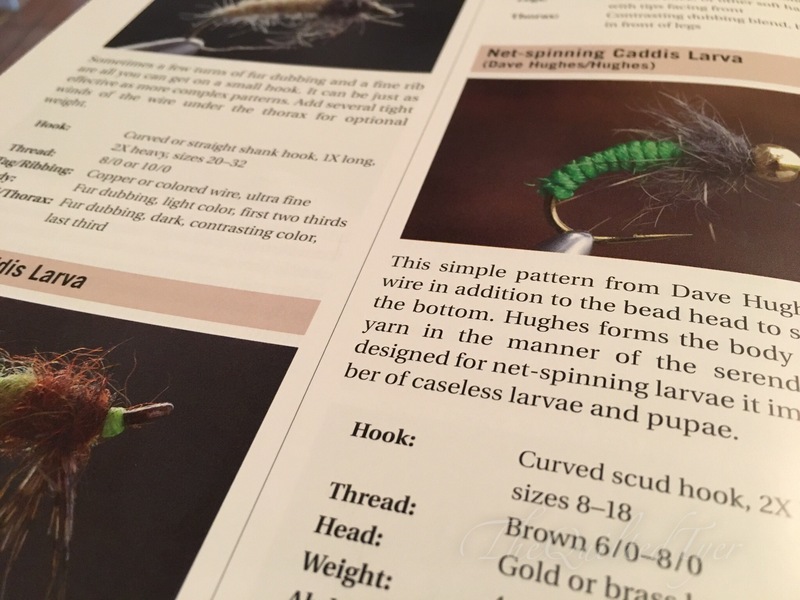 If you are one of those who have been avoiding it you may want to start, there are many days I have caught nothing at all unless it was on a Caddis pattern. 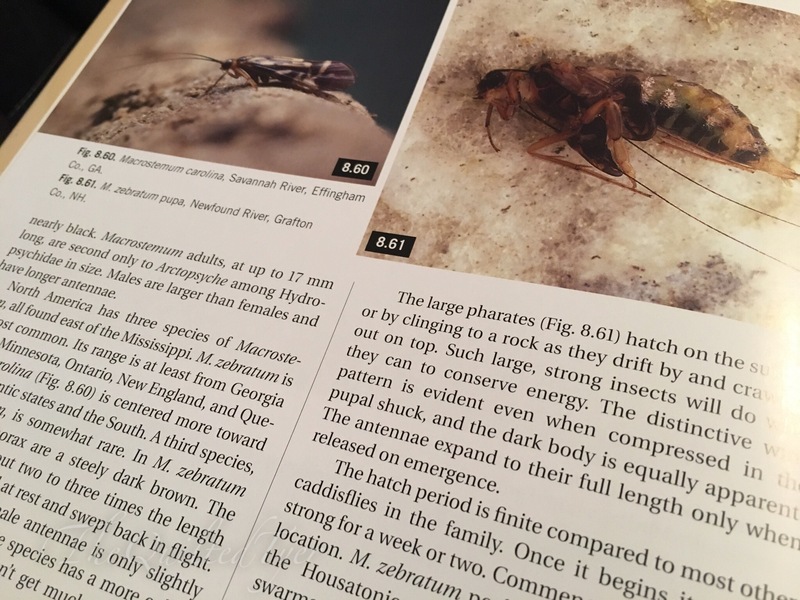 On top of an amazing wealth of information on such a little insect that we know so little about, this book also comes packed with pages full of patterns. I hope you take a look at this book if you happen to run across it, because you will not be sorry once you have added it to your collection.